A Pessimist Is Never Disappointed: No More R.E.M. According to CNN, R.E.M. are no more. The band broke up -- or just faded away in a haze of misunderstood lyrics -- according to Michael Stipe's comments on the band's website. It's not like I cared much about the band anymore. I can't name one memorable R.E.M. song since 1994, frankly. And I'm the sort of old crank whose first thought on seeing the "Losing My Religion" video in 1991 was: "Wow, great video. Too bad they are going downhill so fast." 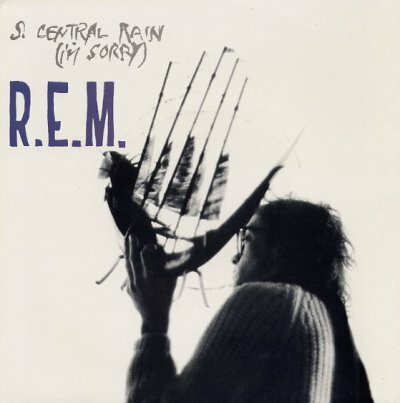 I can remember sitting in my car in the summer of 1987 and hearing Top 40 radio -- yes, Top 40 -- announce the new R.E.M. single and the John Cougar-crash of drums kicked "The One I Love" off. What seemed like a muscular rocker at that moment quickly became one of the most overplayed songs of that year next to most of The Joshua Tree. The end was near for us early fans. Still, R.E.M. was the sort of band that was indeed life-changing. Very few things have thrilled me the way "So. Central Rain (I'm Sorry)" did. I probably heard it for the first time on the David Letterman show -- I had read about Murmur (1983) but I didn't get that album until I first got the current Reckoning in the summer of 1984. That record -- along with some U2, Prince, and Echo and the Bunnymen -- soundtracked my senior year. R.E.M. had earned the right to coast along. Those first 4 albums and the Chronic Town EP are among some of the best rock music I've ever heard.